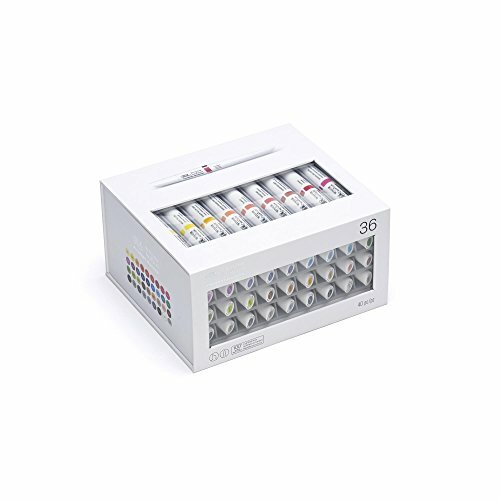 With 36 assorted colors split out into four at-home storage trays, this set provides the most comprehensive insight into the full Winsor & Newton pigment marker color spectrum. From lemon yellow light to indigo, and linen to mauve, choose any of the 34 color to work alongside either the white blender or colorless blender and explore endless color possibilities. Explore its unique blending properties on Winsor & Newton pigment marker paper. The set comes in an interlocking case, so you can steadily build your pigment marker collection and easily attach two, three or more sets.